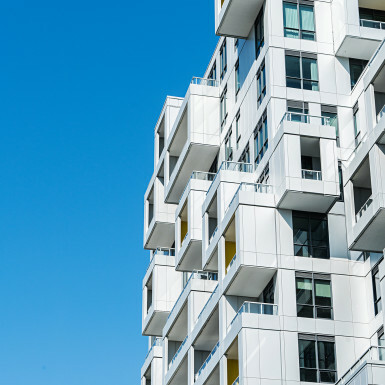 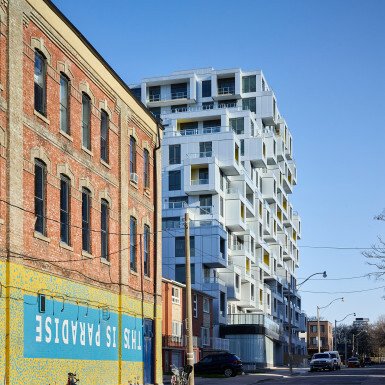 The project is one of two mid-rise urban infill residential condominiums—Block 11 and Block 13—currently being designed by Teeple Architects to kick off the Alexandra Park Redevelopment Project in an exciting and engaging way. 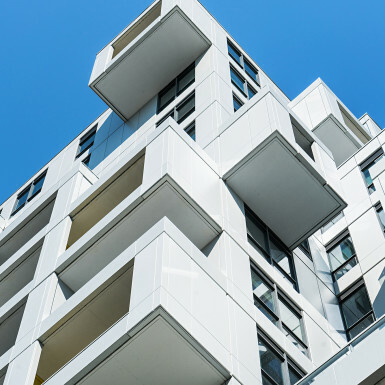 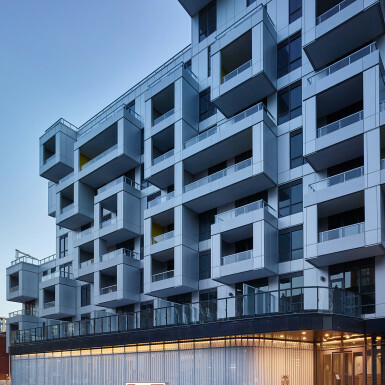 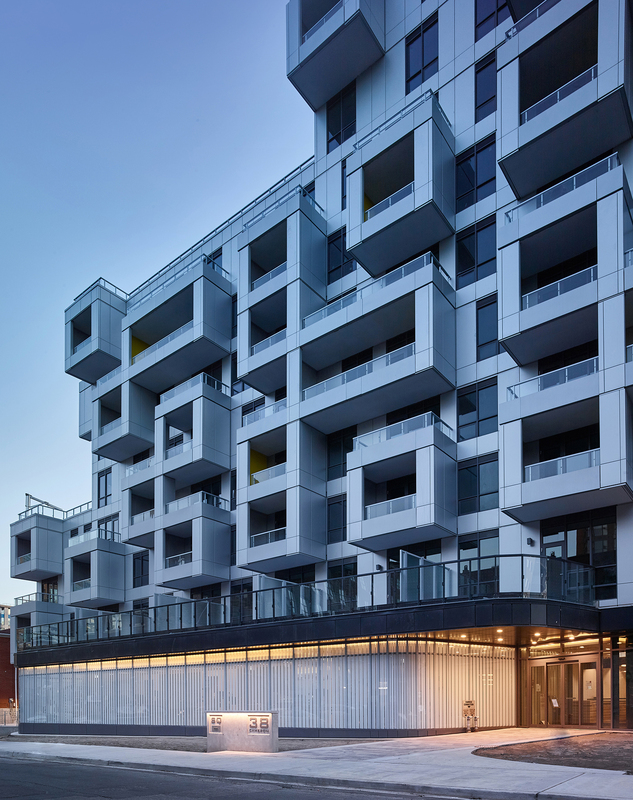 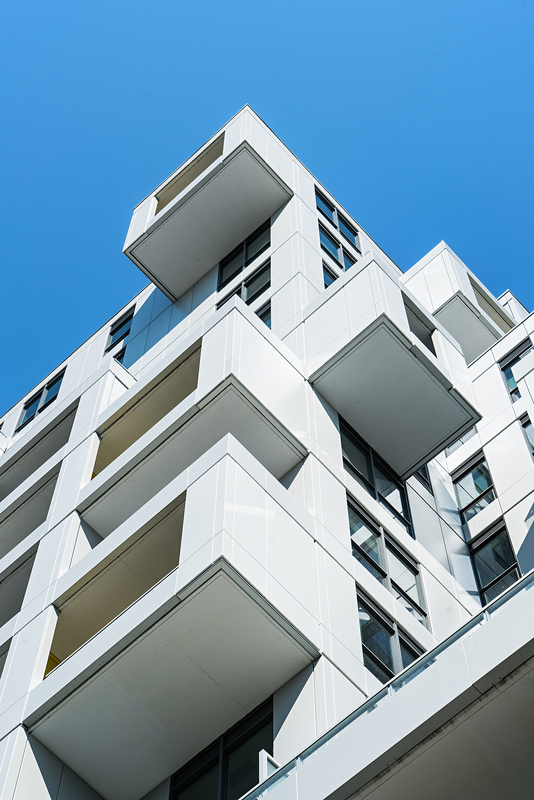 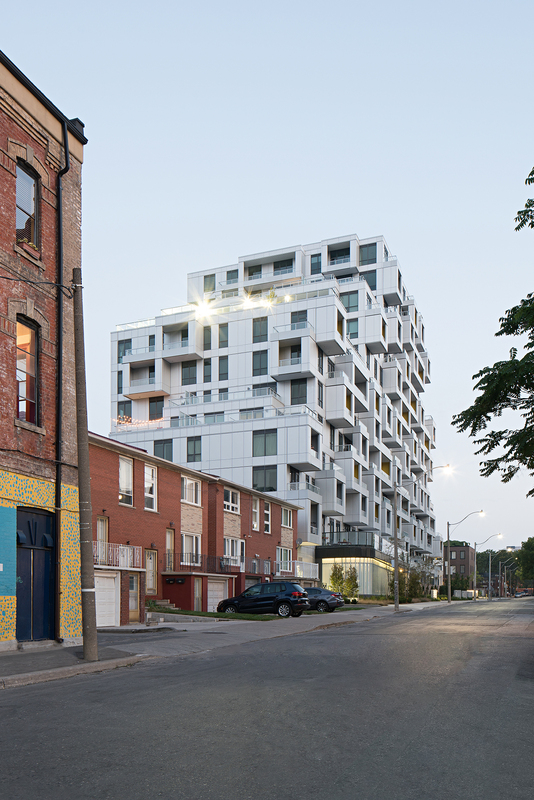 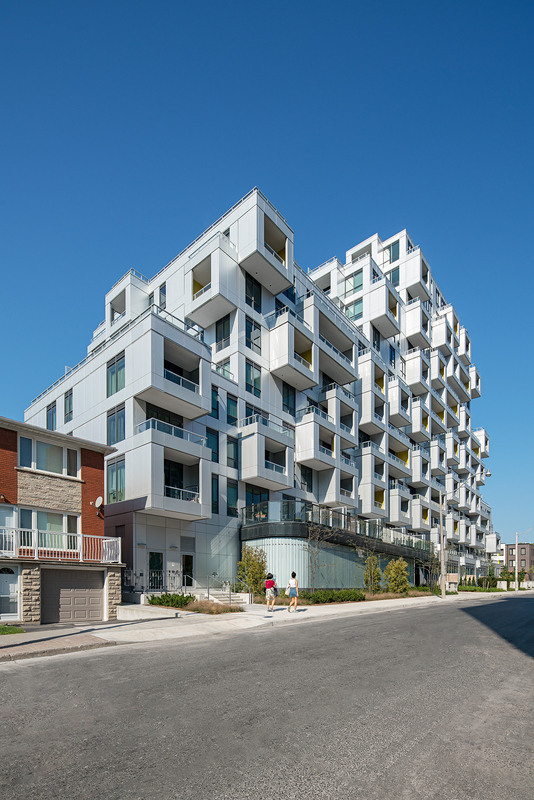 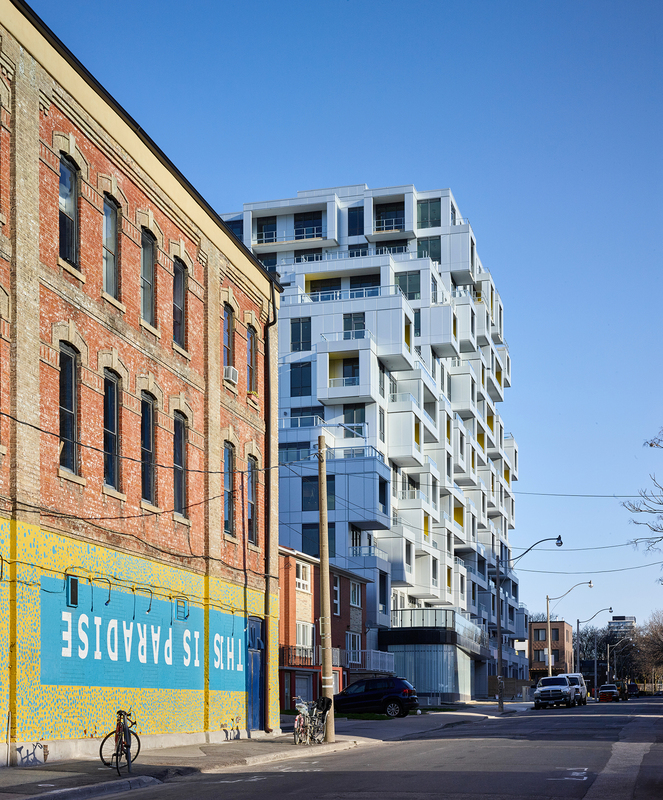 The sculptural form of the building is informed by its urban conditions: Block 11 grows out of the low-rise forms on Queen Street West and gradually increases in height like a built-up hillside to meet the taller buildings to the north. 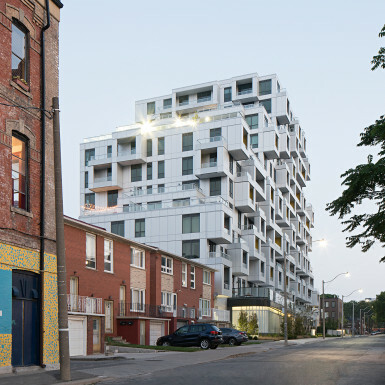 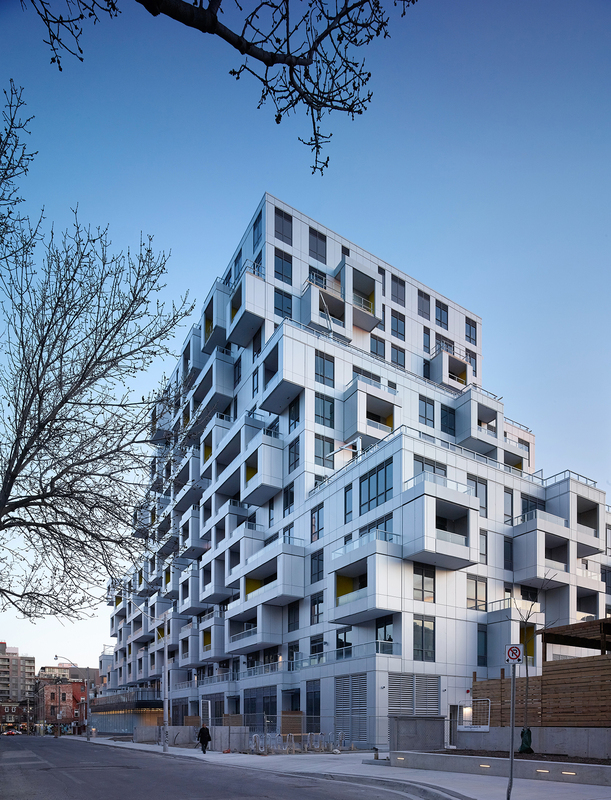 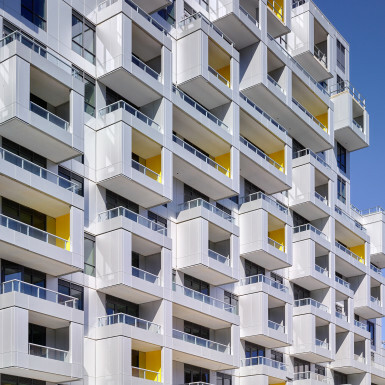 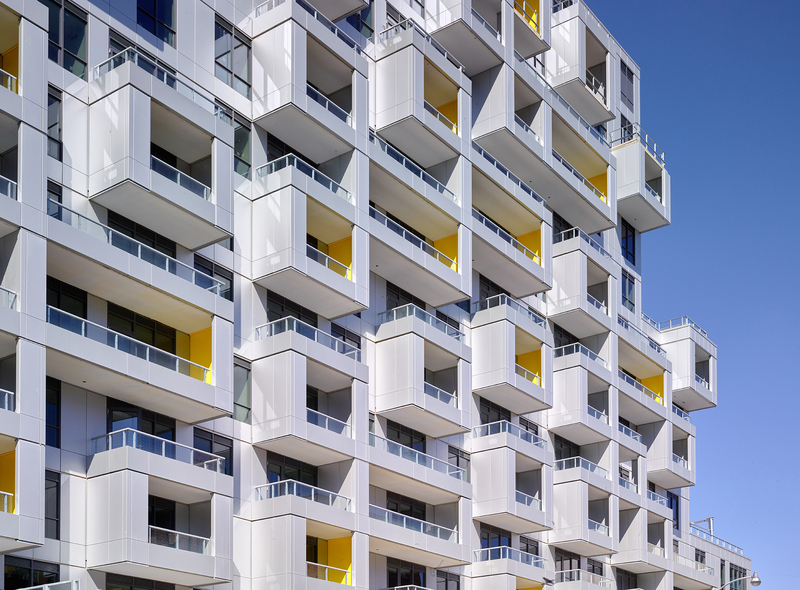 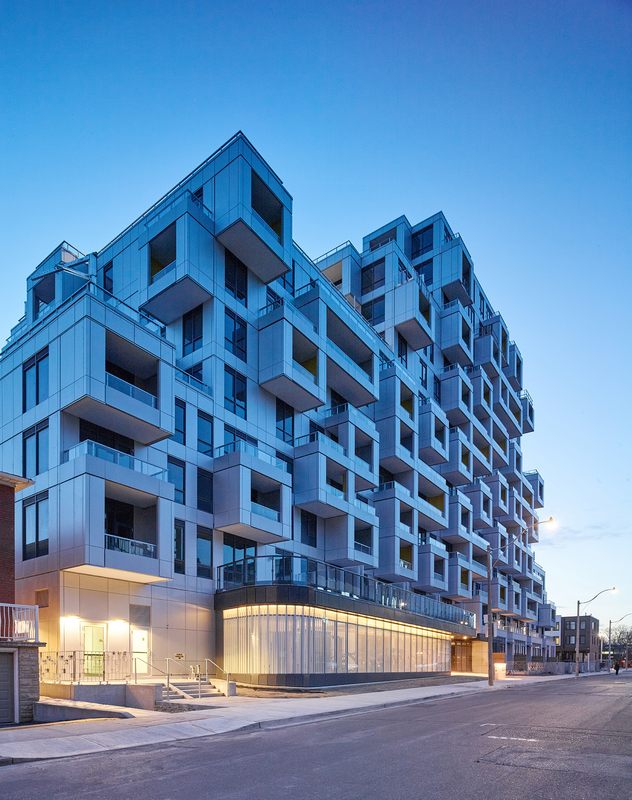 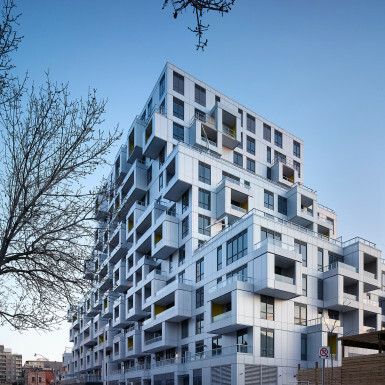 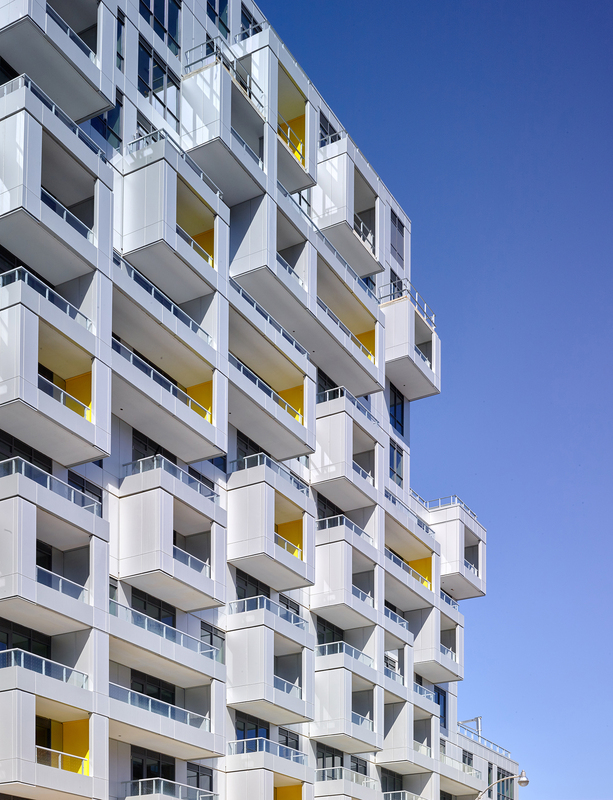 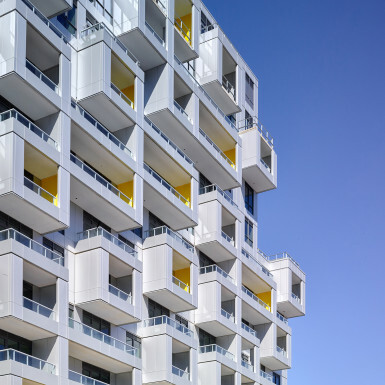 The building is conceived as connective tissue, unifying a neighbourhood of disparate building forms. 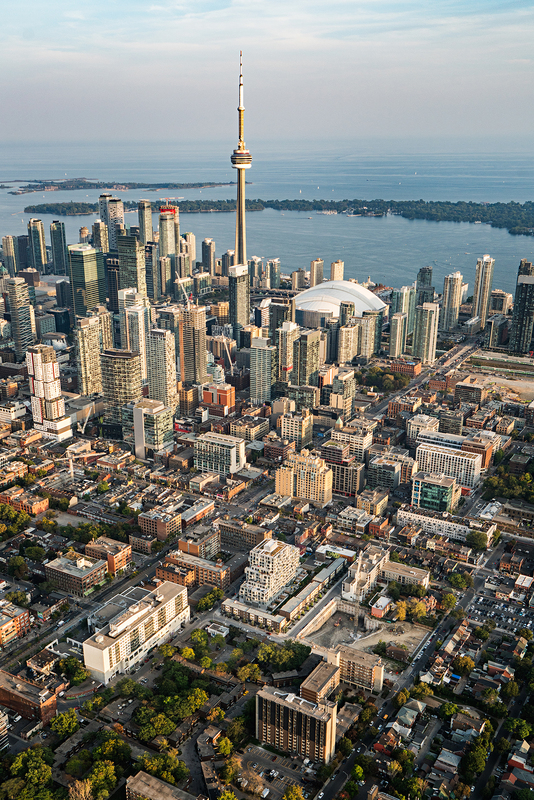 The key objective of the project is to begin the implementation of a massive urban development plan for the area. 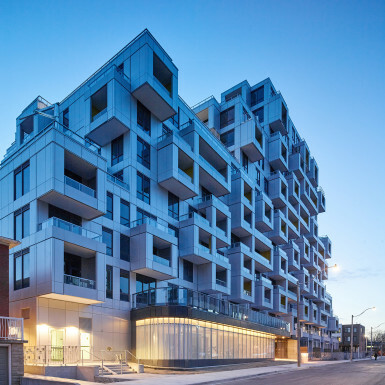 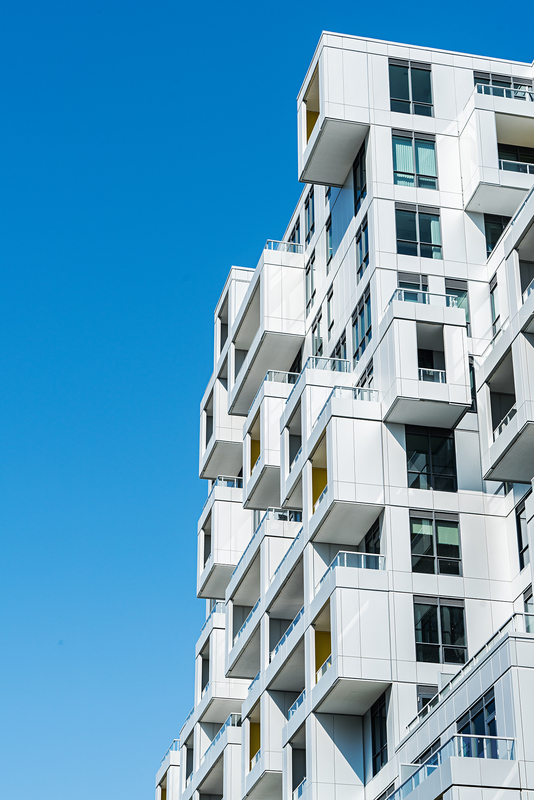 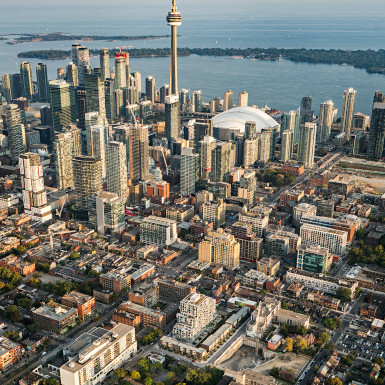 We have thus worked hard to ensure that the project designs not only satisfy the needs of future tenants and the TCHC’s private sector partner, Tridel, but that they are in service of the larger urban objectives of the redevelopment. 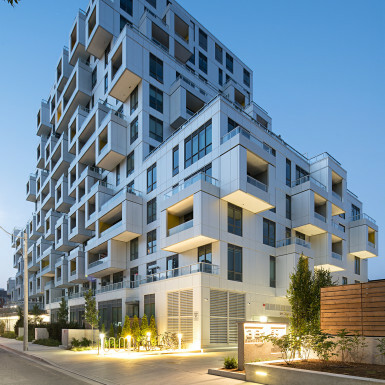 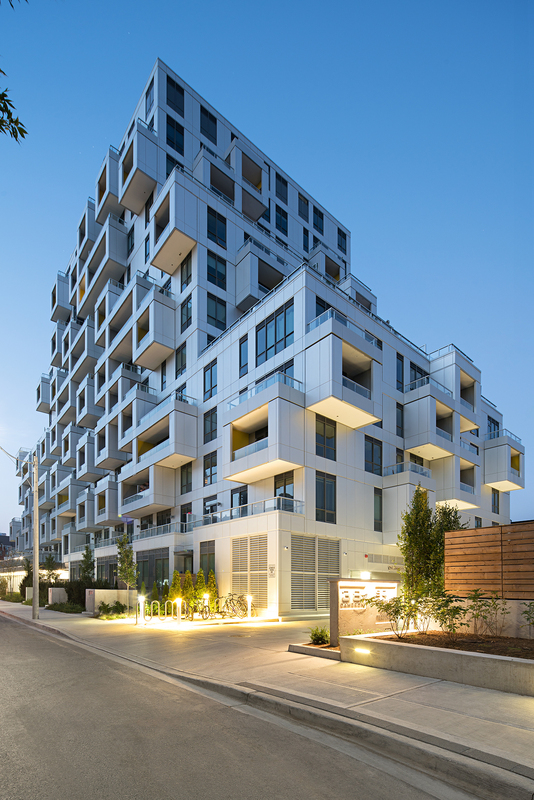 We have worked closely with the Owner’s urban design consultant, the City Planning Department, and the local councillor to modify the zoning to allow for a building that was much more responsive to the needs of the residents, was much more desirable from a marketability point of view, and improved the site’s connectivity to the surrounding neighbourhood. 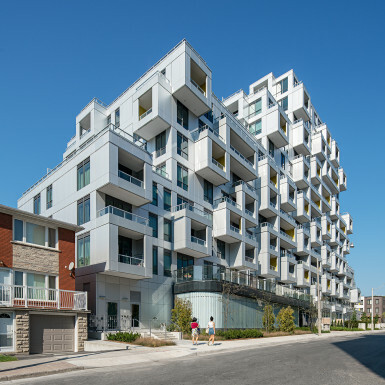 The sale of these market condominiums will be used to finance the social housing components of the project and so we are working closely with Tridel to create a design that is attractive, market-driven, and efficient-to-build, but that will also mesh well with a very diverse surrounding community.